It is an honour to be invited to the event ‘Tercer Encuentro Internacional de Diseño‘ (Tendencias Tecnológicas) at the ‘Facultad de Diseño, Arquitectura y Artes(UTA)‘ in Ambato, Ecuador. 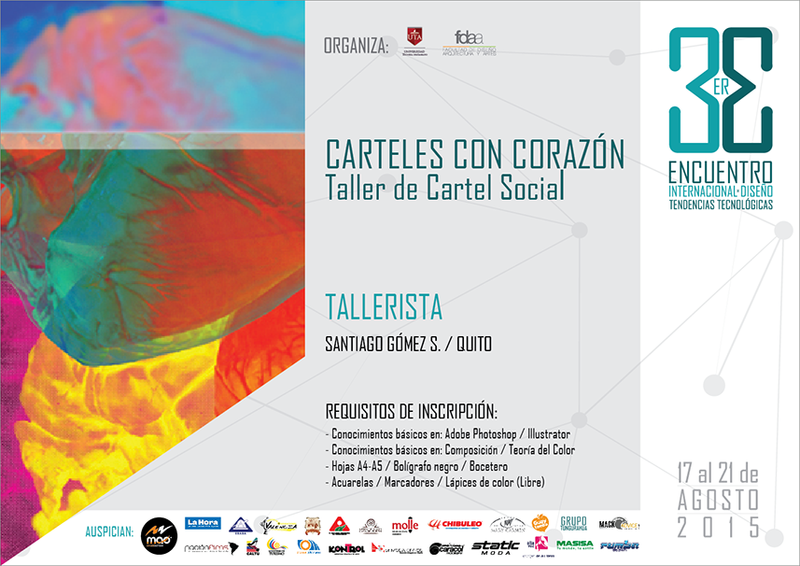 Also my friend Christian Lasso Rocha will give a workshop ‘Portafolio con Behance Ecuador’. The event will start tomorrow and finish on friday (17 – 21 August). I am excited for this oportunity and I look forward to seeing you in Ambato. 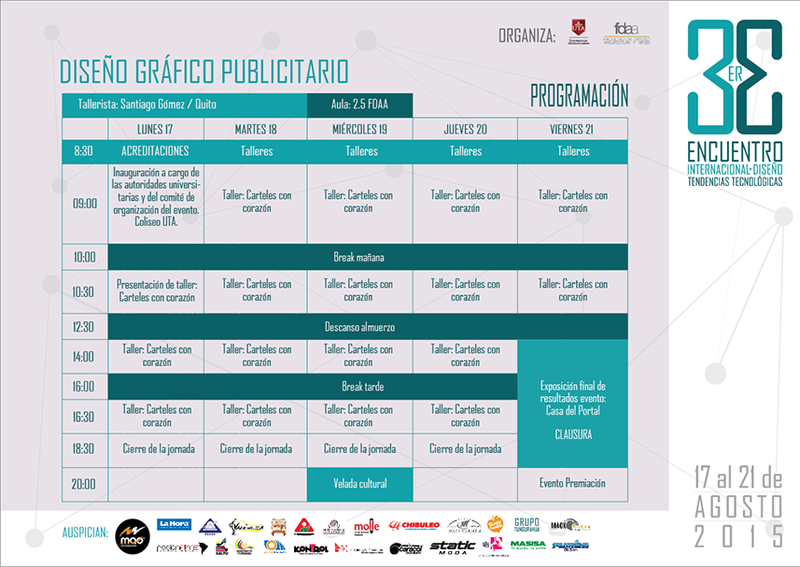 Posted in UncategorizedTagged graphic design, Santiago Gómez, tercer encuentro internacional de diseño, universidad técnica de ambato, WorkshopBookmark the permalink.